This was near the famous Graveyard in Buenos Aires. Not often you see a statue of a Postman with a Post box ! This is the Philatelic office in Buenos Aires. There is also a Post office here. Central America-Costa Rica- San Jose Well delighted to say I did in fact seen this Scarlet Macaw when I was in Costa Rica. 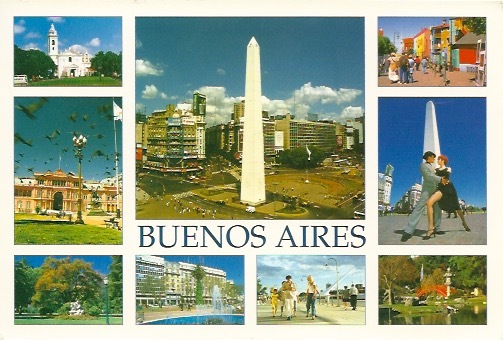 I could not find a postcard showing San Jose when there. I guess it is all about the nature. 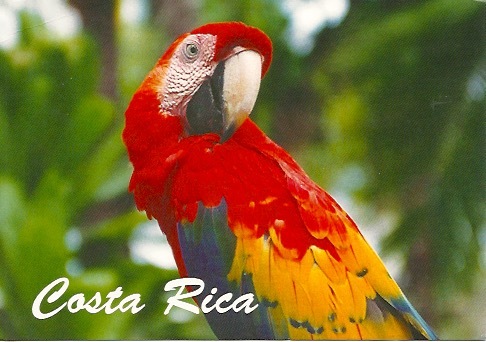 Costa Rica is a beautiful country and I will need to revisit to see more. I cant say to much good about the traffic in San Jose however. But all ok once you get into the country. 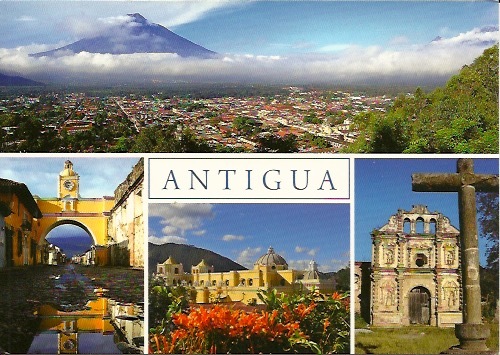 This is my last country to visit in the Americas so delighted to get the card . However I still have to visit Alaska which will be in 2019. I love these stamps as they sow the main Post Office in San Jose. It is one of the best in the world. So delighted to find stamps showing the centenary. The Post office outside is stunning as is the best building in my view to see in San Jose. However at the start I could not find any postcards , so I just bought the stamps at the Philatelic Office. It has a full selection and was very helpful. I mailed this card from the Post Box at San Jose airport. The background to this trip was the first time I visited Antarctica I did visit a Chilean Scientific station. These stations often have a Post office included. However it that case it did not. So I could not mail a postcard out.. So here I am back.. Delighted to visit the Post office . Fellow members on the trip stand by. The Post office in Chile Antarctica is not open every day. In fact the day I was here it was closed. However I managed to hunt down the Postmaster and got it open . Chilean Base Eduardo Frei Base on King George Island. One of my photos of a penguin coming out of the water. Enjoyed watching the penguins. This was a full day overnight trip. Central America-Guatemala-Antigua I have heard about this city for some time so was very excited to be visiting here. Well it certainly lived up to it expectation. A lovely old town and full of life and buzz. Ok lots of Convents and Churches but all part of the charm.. Was so surprised to see so many tourists and also a lot of Americans here to learn Spanish. A world Heritage Site. As I mentioned earlier Guatemala has no functioning Postal system. Even the hotel did not know this and send me to the Post office in the town. There was a notice saying closed as no postal service. So all I could do was to get the hotel to stamp this with a rubber stamp. El Convento , A Beautiful boutique hotel. 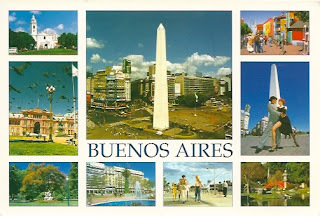 South America-Argentina-Buenos Aires Another postcard from BA. This area of La Boca is just one of those very touristic places one has to go to .. Something different and lots of colourful buildings. I like these very large postmarks.. I have only seen ones like this in Central and South America. 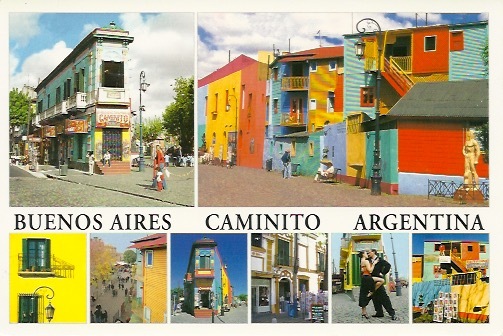 Though I am sure not many postcards are sent any more with the price of Stamps in Argentina. Bearing in mind I found the country great value otherwise. Central America-Panama-Panama Canal I guess could be considered one of the wonders of the world. I would certainly say it is the Worlds greatest shortcut. 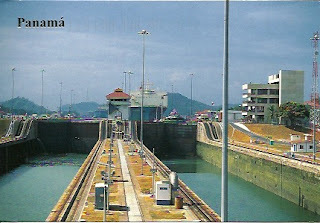 Spend the morning here on my first day watching a ship going through from the visitor centre. It was most interesting. Also the museum on the lower floor. Certainly worth visiting. Still cant get over the cost of a stamp to send a postcard. But I do love the large postmark with the state of Misiones region in Argentina. 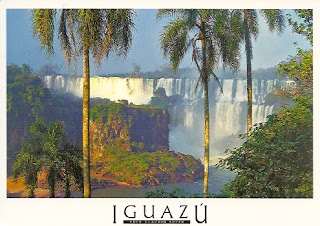 South America-Argentina-Iguazu Falls This World Heritage site has been on my bucket list for some time. I had heard so much about it from friends. Well it certainly lived up to expectations and is the best waterfall I have ever seen . Not to be missed. There was no Post office in the immediate area, but there was a post box at the Airport. Glad I had my own stamps as the newsagent was out of stamps when I was there. South America-Argentina-Buenos Aires I had forgotten how big a city Buenos Aires is. Really enjoyed my few days here. Lots to see and full of life. 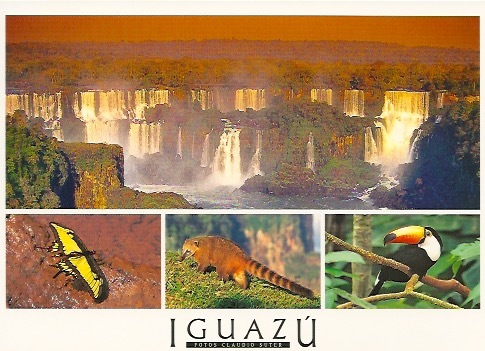 My favourite city in South America. It took me some time to find the Philatelic office in Buenos Aires. The main Post office had closed since the last time I was here. I got two different address for the Philatelic office , but found it in the end going from one Post office to the next. A full office next to a Post office. So it was great to have so much choice. Some very beautiful stamps. The shock was the price of sending a postcard. Around €4 . Is it the most expensive in the world ? ?